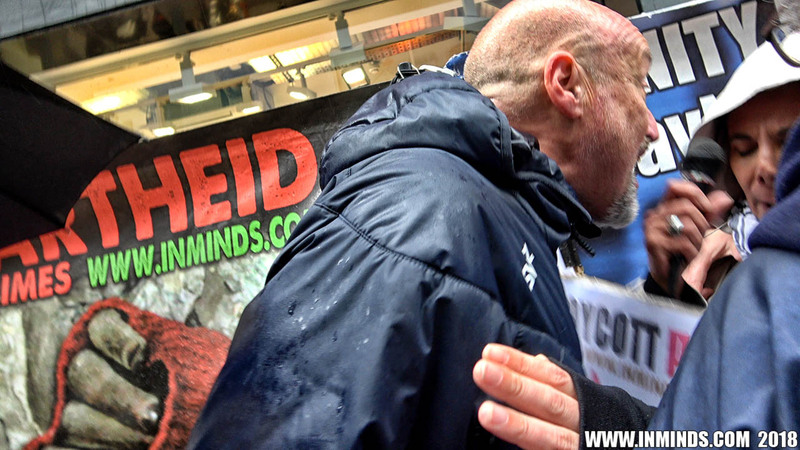 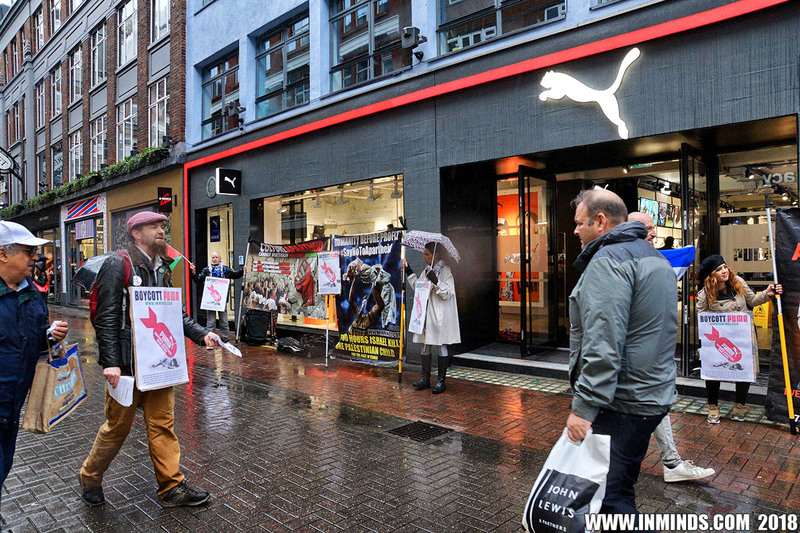 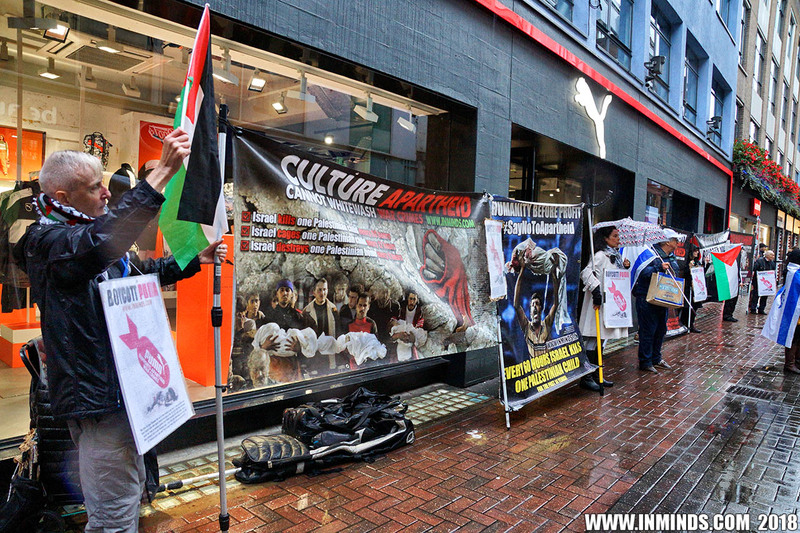 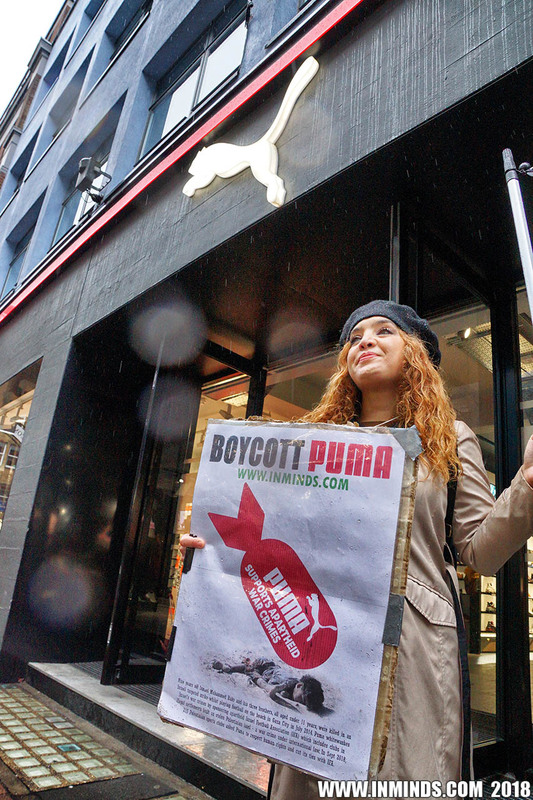 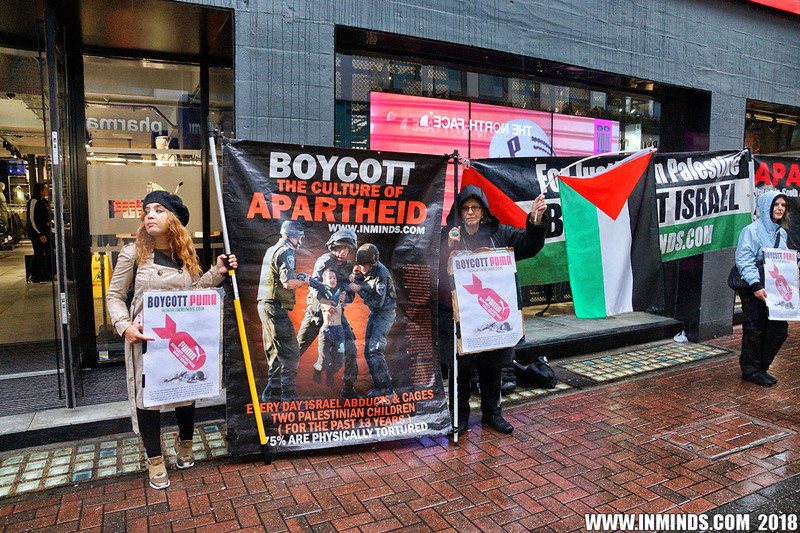 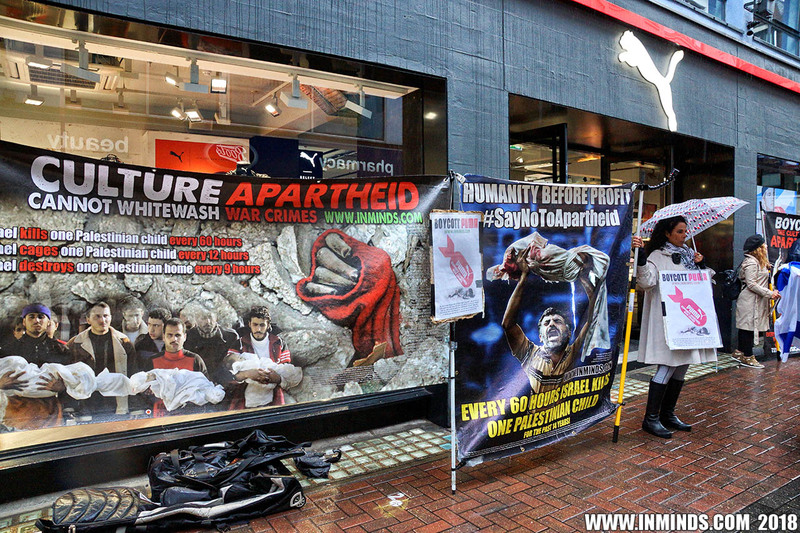 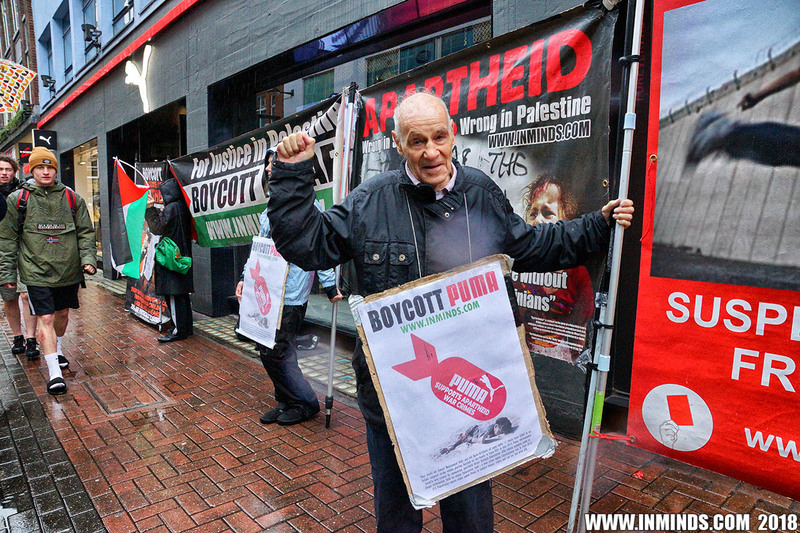 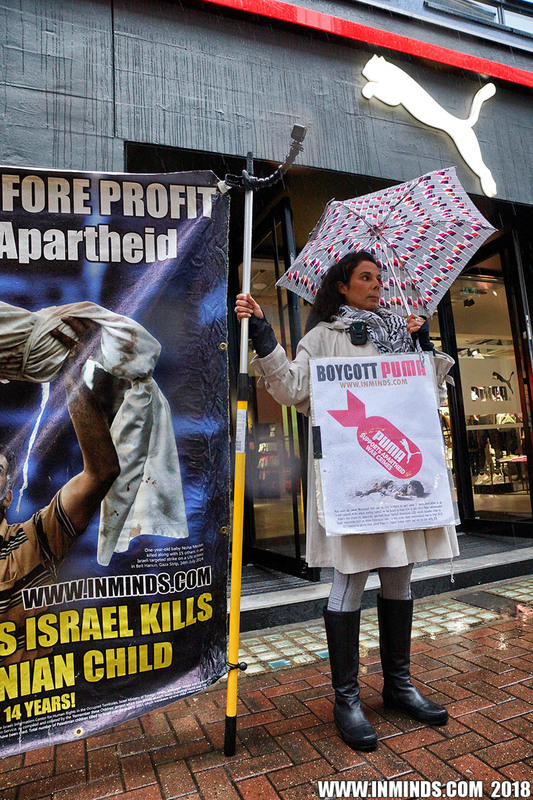 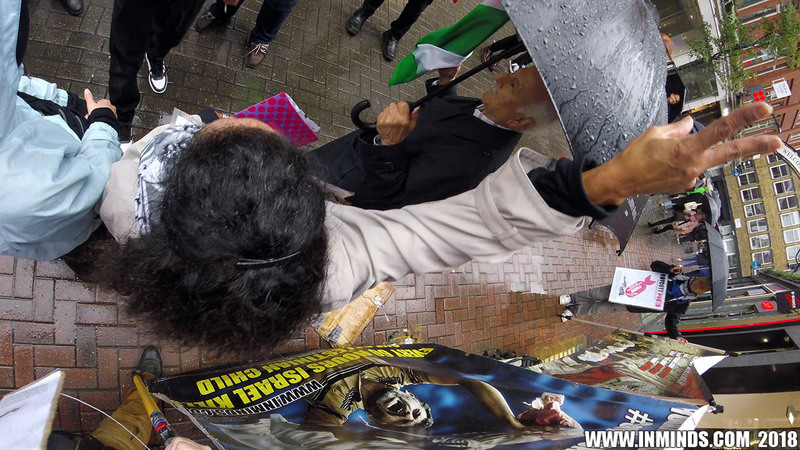 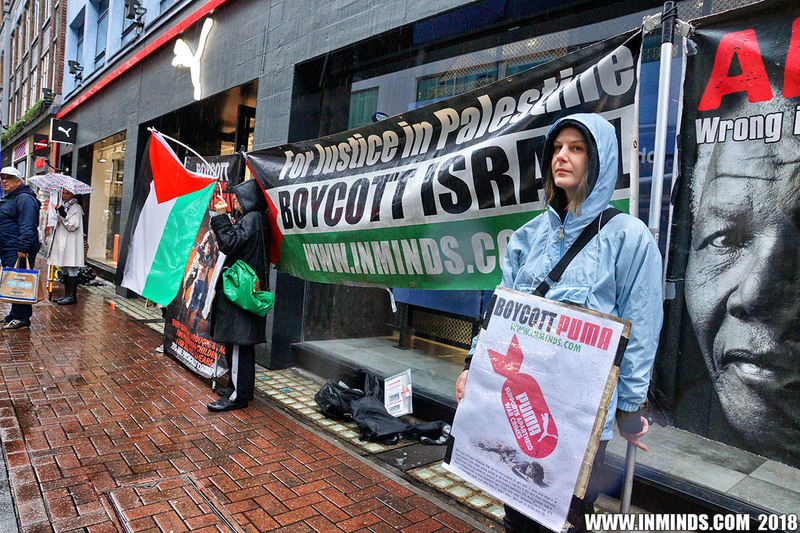 On Saturday 6th October 2018, Inminds human rights group protested outside Puma's flagship store on Carnaby Street to demand Puma stop its sponsorship of apartheid Israel Football Association, which includes football clubs based in illegal Israeli settlements, and plays its football games on stolen Palestinian land in the West Bank. 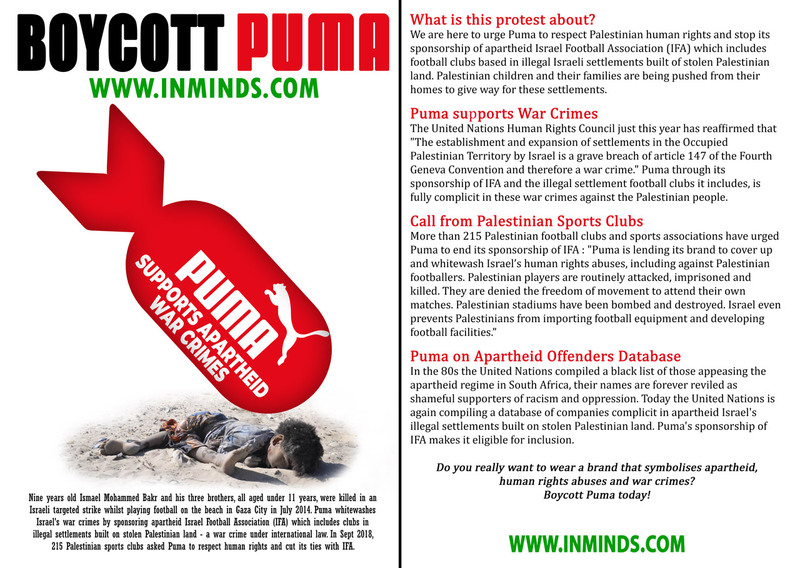 The protest was in solidarity with over 215 Palestinian sports clubs which on 10th September 2018 called on the world’s third largest sportswear manufacturer, Puma to respect Palestinian human rights and cut ties with the Israel Football Association. 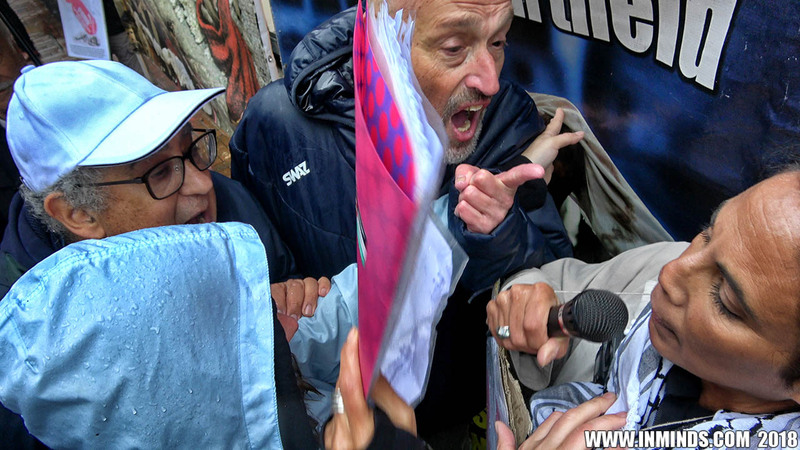 A contingent of Zionist thugs tried to violently suppress the protest. 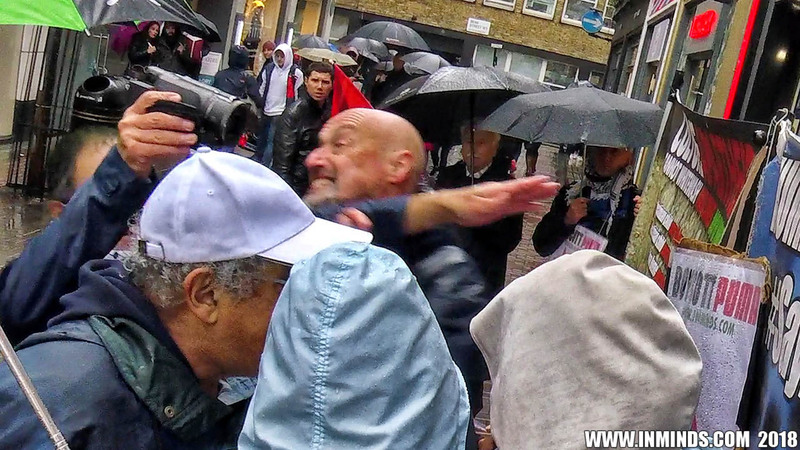 The extent of the assault cannot be divulged as this stage due to on going legal proceedings, but some of it is visible in the video that follows. 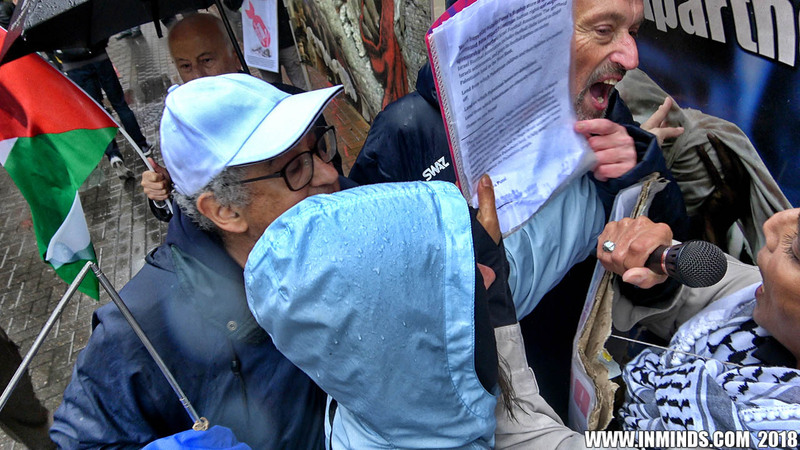 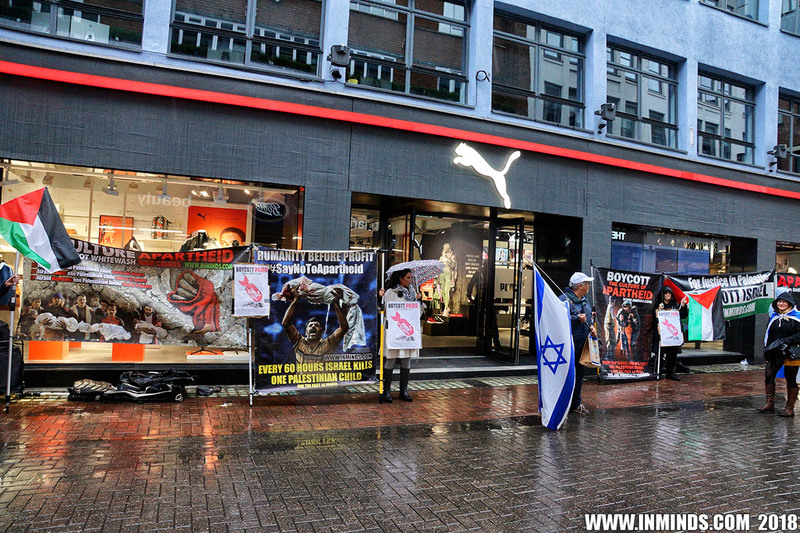 Both passers-by and the security officer of the Puma shop, were so disgusted by the actions of the zionists, that they came to help the peaceful protestors. 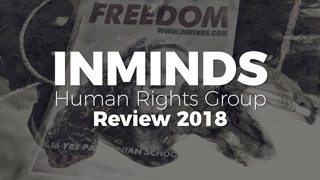 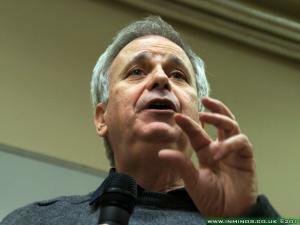 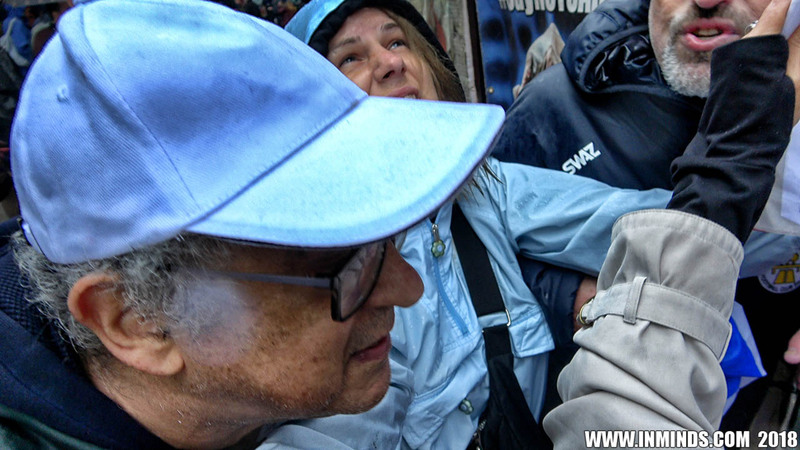 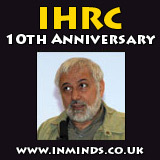 Inminds chair Abbas Ali said "Zionist thugs lead by a former vice president of the Zionist Federation, and consultant to Labour Against Antisemitism Group, came with the objective of silencing us, by violence if necessary. 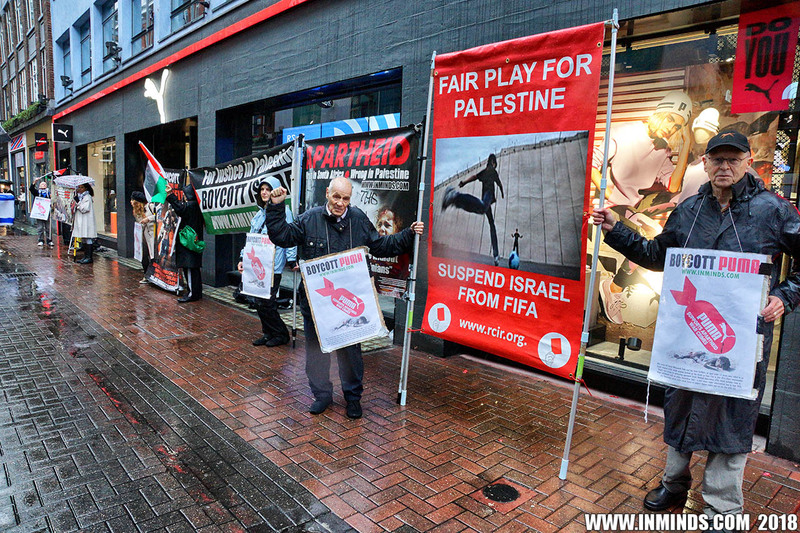 They failed. 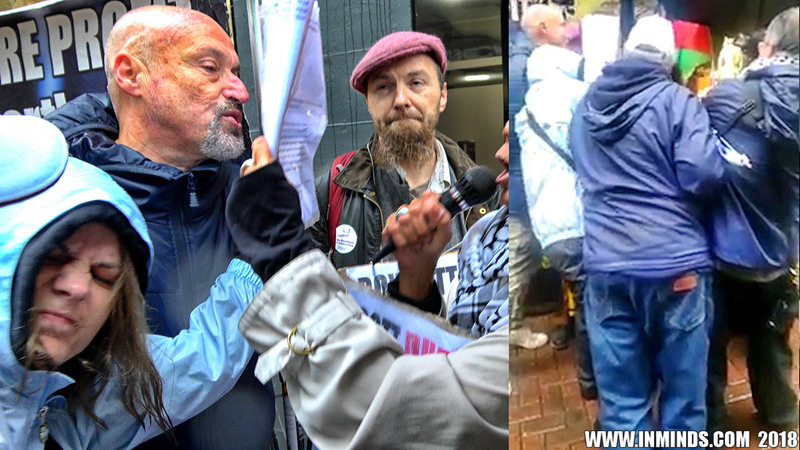 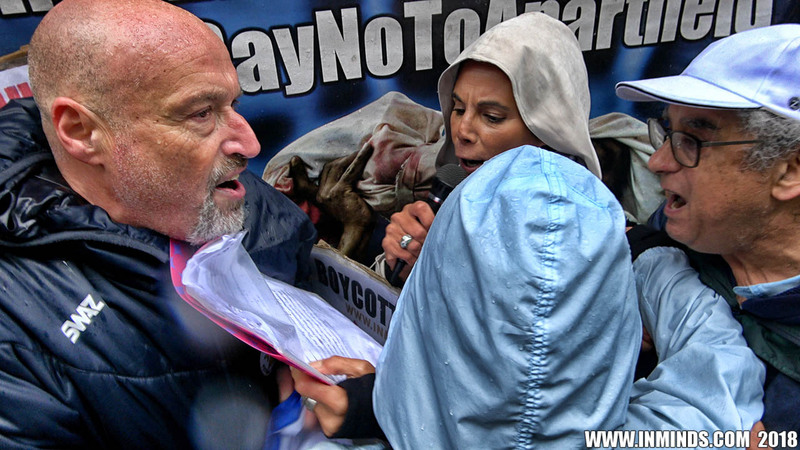 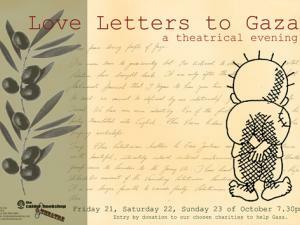 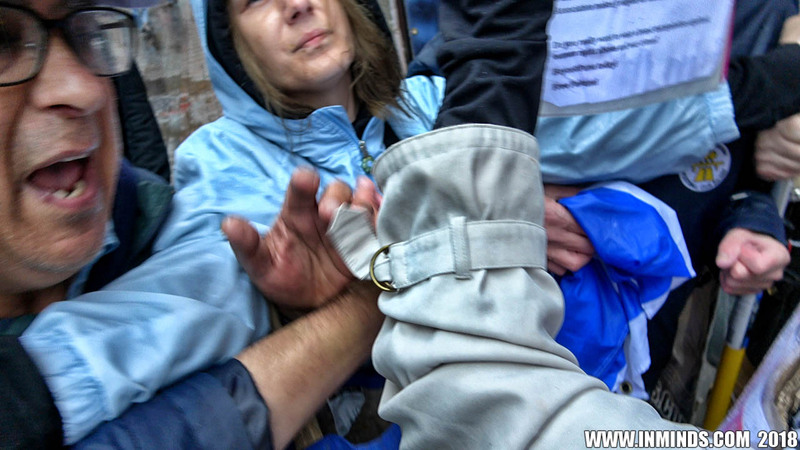 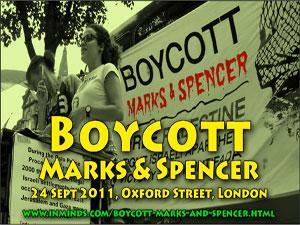 Through their actions, Londoners got a glimpse of zionist fascism up close. 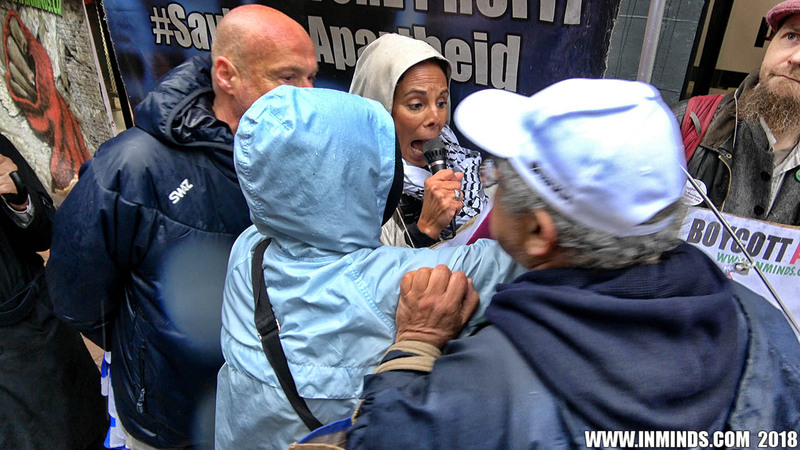 For these thugs all Palestinians and their supporters are all terrorists, and any championing of human rights for Palestinians amounts to antisemitism. 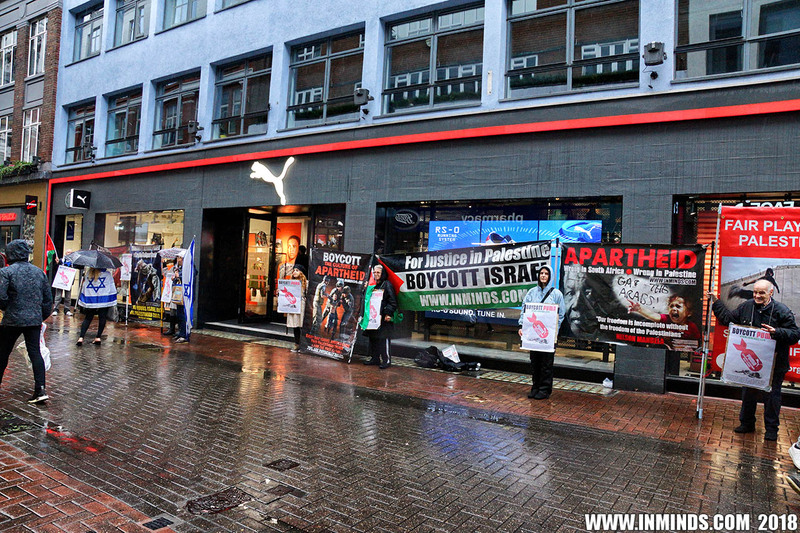 Clearly they have been emboldened by the uptake of the IHRA definition of antisemitism which purposely blurs the distinction between opposing the racist endeavour - apartheid Israel, and supporting anti-Jewish racism - antisemitism. 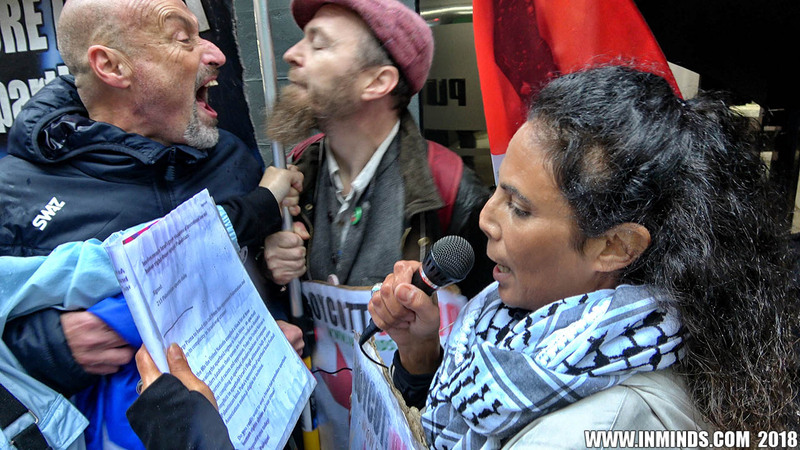 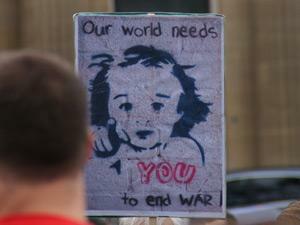 The violence we encountered was a direct result of the spineless decision taken by the Labour party, and other parties, to capitulate to the bullies of the Israel lobby in adopting this divisive definition." 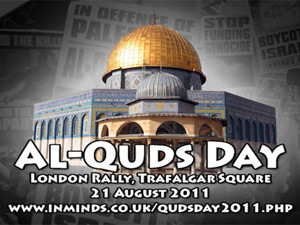 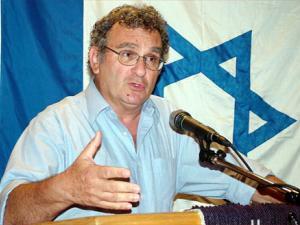 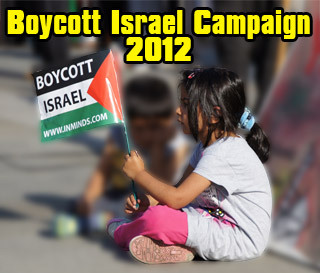 Desptite the violence and intimidation, the zionists failed to silence us - Free Palestine!